We provide rubbish removal services for a wide variety of jobs and projects throughout the Barrie, ON area. There are many projects in your home or around your business that seem to generate amounts of waste that are many times larger than would seem appropriate. As the garbage cans fill and you realize there’s no more room in your current rubbish bin, you need professional rubbish removal services in order to get your space cleaner, your project back on track, and put your mind at ease. Whether you’re in a residential or a commercial space, you need rubbish removal services that meet three criteria. First you need the process to be simple and easy to understand. Second, you need flexibility to work with your project and your waste generation. Third, you need a company you can trust and whose dependability is certain. Fortunately, there’s an easy solution for residents of Barrie, ON. At Guaranteed Services, we provide rubbish removal services for a wide variety of jobs and projects that vary widely in size. 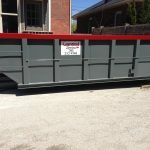 We have a large selection of open-top dumpsters and bins in order to give you the one best suited to the needs of your project. We understand how unpredictable these jobs can be, which is why we offer same-day drop-off and pick-up. This way, you can get back to the work at hand and not be stuck waiting for your bin to arrive or to be picked up and emptied. We know how important your time is, so we pair our reliable delivery and pick-up services with affordable rates, excellent customer service, and a dedication to helping our neighbours with all their rubbish removal needs. 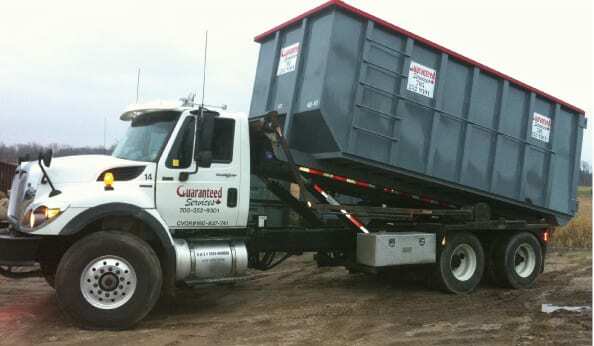 At Guaranteed Services, we offer rubbish removal services in Barrie, Innisfil, Collingwood, Orillia, Wasaga Beach, Angus, Stayner, and Midhurst, Ontario.